What will I use my PC for? The PC will mainly be used for playing games, but also some heavy-workload tasks such as 3D modelling and rendering. My current laptop, while good for gaming at low detail, often struggles with some demanding games such as The Elder Scrolls: Skyrim and Rocket League. In addition, the measly 5400RPM hard drive found in most laptops is unbearably slow. Once I have built my new PC I will be able to clean off my old laptop, making it run faster and smoother. This computer will supersede my laptop as my primary gaming device. Why have I chosen these parts? The Intel Core i5-6500 is part of Intel’s 6th generation CPU series, commonly known as Skylake. 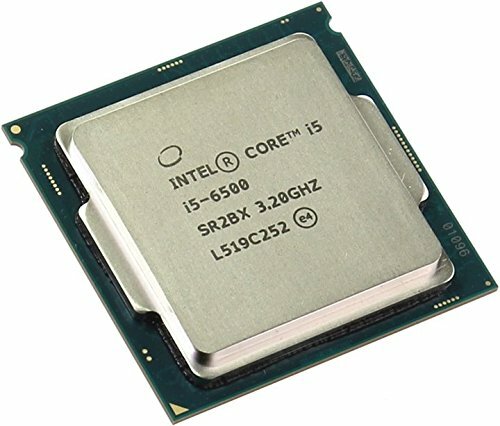 As of the creation of this list it is the best price-to-performance Intel CPU in the series based on the Unigine Heaven and Futuremark benchmarks. The MSI B150A Gaming Pro is the cheapest motherboard with USB 3.1 and Gigabit LAN that supports the Skylake platform. It has support for up to 64 GBs of DDR4 in 4 DIMM slots. I have chosen a dual-channel kit of 8GB DDR4 RAM clocked at 2400 MHz, because I have noticed on my laptop that I frequently use in excess of 4 GBs, whereas I don’t see myself ever needing 16 GBs - but I can still upgrade if necessary. It is also the cheapest available RAM with a heat spreader. Using two RAM sticks instead of one grants a slight performance boost in demanding applications due to the doubled bandwidth. As my Steam library alone uses 400 GBs, a large Hard Drive is required. For faster boot times, I plan to add a SSD (such as the Samsung 850 EVO) in the future, but for the moment a 7200 RPM drive is decent enough for my needs. As I plan to use Gamestream, an NVidia GPU is a must. The GTX 960 is the best performing NVidia graphics card under £200, and has the second-best value for money according to the Futuremark benchmarking software. The Corsair SPEC-01 was chosen for its optimisation for high airflow, low price and water-cooling capabilities for future upgrades. It has both front and underside fan filters to prevent dust build up within the case. The Corsair CX500M is a 500 watt power supply capable of supplying power to my system when under full load, with room to spare. It features detachable cables to reduce clutter for cleaner cable management. Microsoft is forcing those on the Skylake platform to upgrade to Windows 10 by July 17th 2017 with currently unknown consequences for those who don’t want to upgrade. 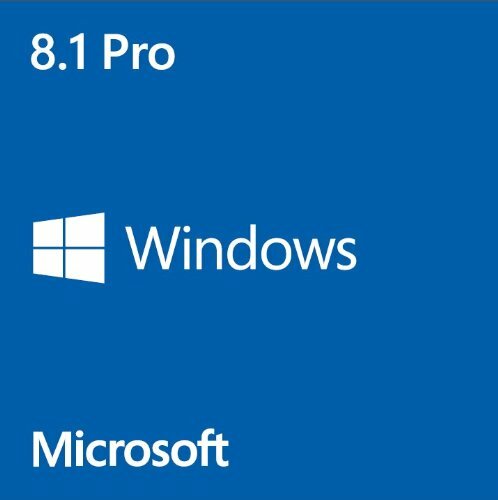 To begin with, I am installing Windows 8.1 Pro, and swiftly upgrading to Windows 10 Professional, in order to both free myself from that disgusting operating system and escape the consequences of not upgrading, which in itself would cost £80 after July 17th. What had I previously planned to buy? As I cannot run Ethernet to my room, I was required to use a WLAN card. The USB 3.0 options - while cheaper - have considerably less range than PCI-E based solutions. The card I chose was the cheapest 802.11a/b/g/n/ac option, which is required for use on our 5 GHz network. Since then I had devised a plan to use a pair of 500 Megabit Powerline adapters and a 5-port Gigabit network switch to provide an Ethernet connection to my Raspberry Pi, laptop, BluRay player and of course, new desktop. My system is estimated by PCPartPicker to use 280 Watts under load and a puny 64 Watts at idle, but many users have discovered that this number can often be horrendously inaccurate, and that a 430W may only just suffice for a PC such as mine. 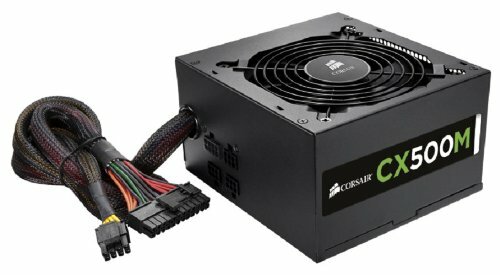 I figured that if I wanted any power-hungry upgrades in the future, it would be better for me to have a beefier PSU to begin with, rather than requiring a new power supply every time I chose to upgrade my system. What issues did I have during the build? Within half an hour of turning it on for the first time, I am given the opportunity to upgrade to Windows 10 Pro (Praise the Lord!). However, I made a mistake when assigning Libraries to my mass storage partition and my 900GB ‘D:\’ drive irreversibly became the desktop. I had to re-install Windows to resolve the issue, meaning I had to wait for Windows 10 to download all over again. It took a whole night to install the necessary drivers and software for my PC, as a result of me relying on a tiny USB Wi-Fi adapter due to an Ethernet cable being broken. To relieve me from the awful 500 kbps speeds I was getting, I ordered a new set of 500mbps Powerline adapters, a pack of 5 Ethernet cables and a 5 port gigabit network switch to wire up my devices (PC, Laptop, BluRay player, Raspberry Pi file server). I should soon be getting 160 mbps download speeds, and ~500mbps intranet speeds, triple my current download speed. What might I upgrade my PC with in the future? For highly increased boot times and speedy application launching, I will be adding an SSD (Solid State Drive) to my PC. I am planning on using the Samsung 850 EVO SSD due to its great value for money, and unrivalled performance at its low price point of £70. While the need for optical drives and disks is ever-declining, it will still be useful for installing software that comes on a disk, such as drivers for peripherals and some games. My power supply was shipped with a dual connector cable, making routing it difficult as it was an odd shape. I may purchase a short extension/replacement cable to hide this extra connector. Due to its relatively short length cable management was difficult, but a 6+2 pin extension may solve that issue. In addition to helping Intel Turboboost, it also increases your processor’s lifespan by preventing it from overheating. What do I think of the finished product? In conclusion, I think the build went rather well, taking little over 2 hours. Even with a single case fan, it is sufficiently quiet and cool. It performs well even in the most demanding games and benchmarks, and is fast at boots and application launching. The included software is surprisingly useful, and I frequently adjust my motherboard and GPU settings from within the software. I have set up Remote Desktop connection with Wake On LAN so that I can turn on and control my PC remotely from anywhere in the world in order to perform file transfers and manage software. It does exactly what I wanted it to do: It replaces my current laptop for playing games, and it is likely to do well with the games of next year and beyond. This processor was perfect for this build, with four cores clocked reasonably high, and sufficiently low temperatures even with the stock heatsink. It is well-priced, and the integrated graphics perform well, although I won’t be using it unless my GPU fails. It works, I guess. I have not had any memory-based errors so far. It looks good, and is sufficiently fast. Well-priced, in fact at £33.18 it is better than the DDR4-2133 kit. 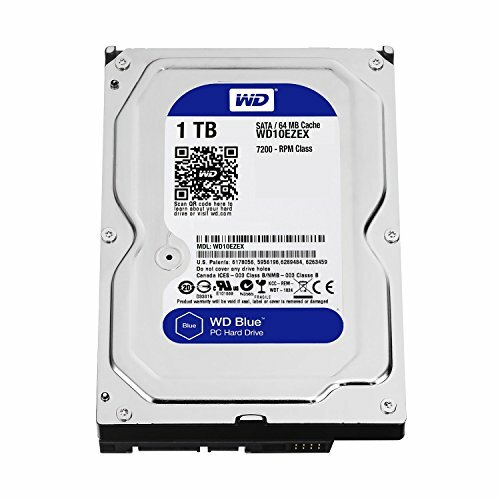 I strongly believe that this is the best budget HDD available, it is sufficiently fast and Western Digital is renowned for their reliability, I will not be needing to replace this drive for quite a while, although I will be upgrading with an SSD. This video card is doing greatly with playing games, it can reach 60 frames per second on either High or Ultra detail in the majority of the games in my library. It also looks great with it's aggressive aesthetic styling. However, I wish there were cable management holes above the motherboard (routing the 8-pin CPU connector was painful) and rubber grommets to make any cable management neater. The modularity of the PSU helps to make a clean build, with less cables cluttering the system and producing dust build-up. However it can hum a bit, but it is almost silent when idle. All the cables are black, except the 24 pin ATX power connector, near the pins. Didn't explode when I plugged it in, so it must be good. I don't know, but I think we need to thank him anyway. I think our lord should be thanked for everything good in the world. Also, GabeN was employed at Microsoft for 13 years, working on the first 3 editions of Windows. Wow great description very detailed!!! Nice pics too!!!!! It was great didn't even realise I'd read that much!!!! !